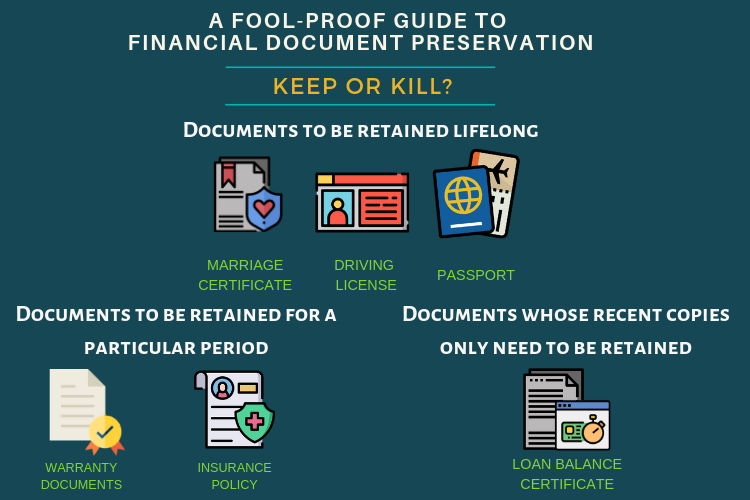 A fool-proof guide to Financial Document Preservation: Keep or Kill? To keep or to destroy? This is a question which all of us face when we sit down with unsorted papers, bills, credit card statements, insurance premium receipts and a plethora of other papers. Deciding which papers need to be kept, and which ones are for immediate disposal, can prove to be a dilemma. Problems can be further compounded if the periodicity of retaining a document is not known. How long to keep the bill and/or the warranty card for the washing machine that was bought last month? What about the LIC premium receipts? There are certain documents which need to be kept in safe custody lifelong and even beyond. Birth certificate is the first and most important certificate when alive, similarly after death, the death certificate is great significance. This has to be retained forever by relatives and heirs. 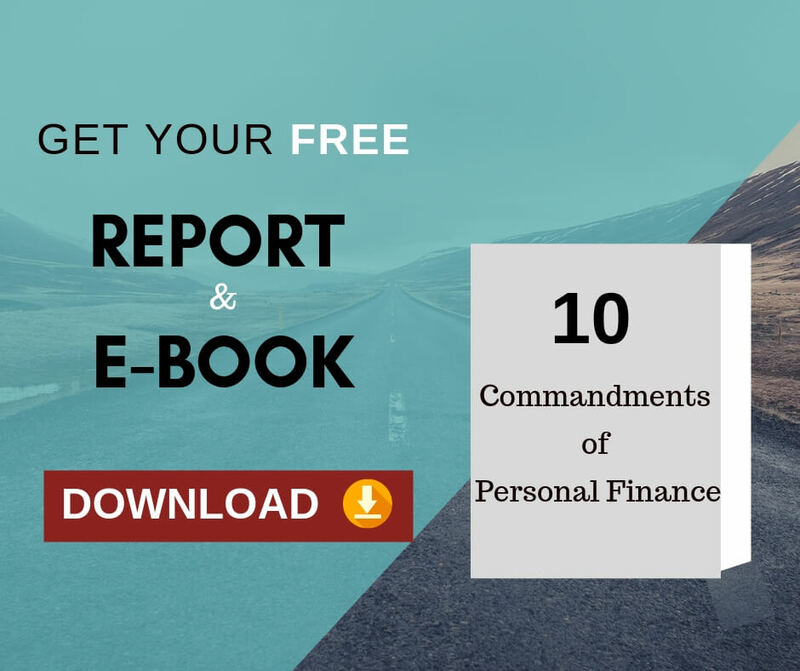 Property deeds, share and bonds not held in dematerialized form, will and trusts, are some of the documents which are to be retained perennially. Identity documents like Voter Identity Cards, Adhaar Card, PAN Card, Passport, Driving Licence (as per its validity date), caste certificates, and marriage certificates need to be retained as they are necessary for all eventualities where proof of identity need to be furnished. All these documents must be kept in a place which is known to at least one or two other person as a precautionary measure. There are some documents which have to be kept till the time they are relevant. After that, they may be consigned to the shredder. It is not always necessary to store all these documents in paper form and fill up space, scanning and retaining it electronically is sufficient, however in some cases retention of original hard copy is mandatory. LIC and insurance policy certificates are to be retained till the completion of term. The same applies to Fixed and Term Deposit certificates. Income Tax Returns, Form 16s’ and relevant income tax related papers are to be retained for the relevant period of time, mostly up to seven years. Besides the above, there are certain documents for which it is necessary to only keep the last updated statement. From Provident Fund Balance Certificates, home loan interest certificates to any such bill or invoice which may be necessary to establish an immediate claim. This could be an intermediary receipt which is subsequently replaced with a final receipt. In certain cases Income Tax exemptions are granted for a specific period (usually a year), for some individuals residing in a specific area. Such certificates need to be retained for the period it is valid. Document storage procedure and practice is as important as knowing about document retention periodicity. Since all these documents are of vital importance, either lifelong or for relevant period, their safe keeping is an absolute necessity. Lockers and safes are the ideal place for storing such documents. Lockers in the banks vaults are safe, else individual lockers with number locks are desirable. Electronic documents may be kept encrypted through 256-bit Secure Socket Layer (SSL) encryption technology. It is likely that some documents are irreplaceable, meaning that once lost it cannot be regenerated and for some others it might cost substantial time, effort and money to get a duplicate issued. Hence the importance of properly maintaining these documents need not be over emphasised. It is in the best interests of the individual to properly preserve the documents based on its periodicity and relevance. 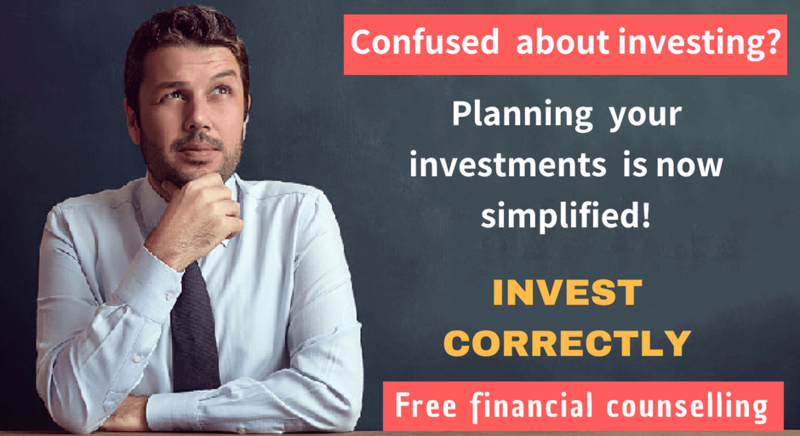 Next Next post: Why your annual bonus or lump sum arrear is not increasing your net worth?